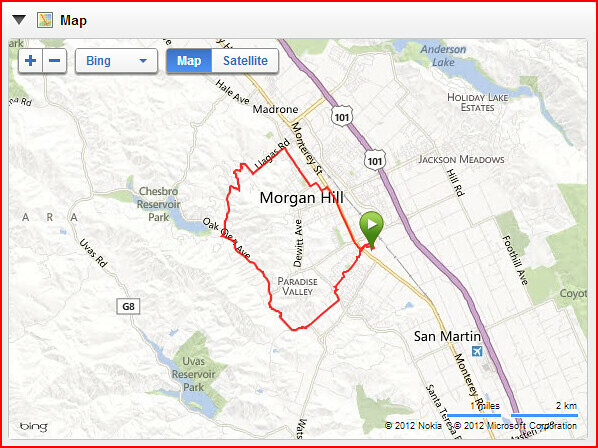 I went on a lunch time ride with the Specialized Body Geometry fit class and the instructors. Let me tell you it pays to have home field advantage. The ride leader described the course and said there would be a climb and that he would let us know when we could hammer it out. When we get to the right turn the ride leader says “ok have it this is the climb!” I was thinking about pacing myself when all of the sudden one of the other Specialized boys jumps out of the saddle and sprints. By the time I got up and chased him the “climb” was over. 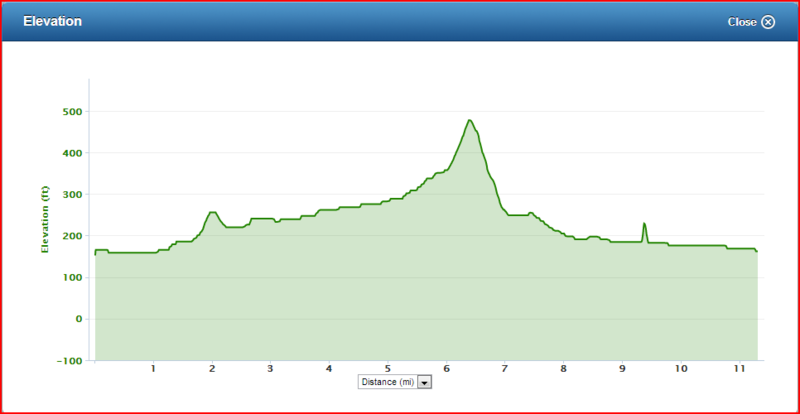 It was really just a kicker over the top of a little hill…urg not a climb!! And who was the Specialized staff member who jumped — well it was none other than the KOM for that segment with a great time from one year ago. This guy has this “climb” dialed. 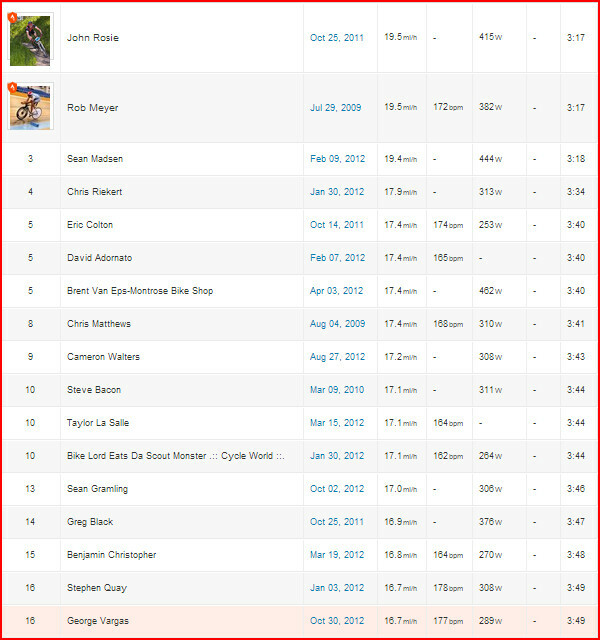 😉 Oh well I placed 16th on Strava and I’m happy with the visitor’s result. This entry was posted in Rides by REV Cycling Directeur Sportif. Bookmark the permalink. What a great way to spend a lunch hour. Too bad it can’t be an everyday occurrence. ;). Great job! !